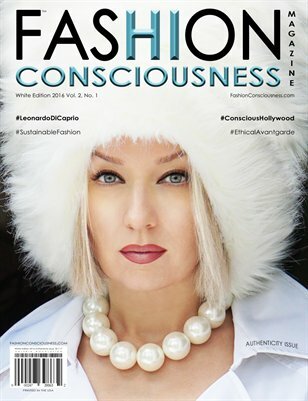 FASHION CONSCIOUSNESS is a new concept for a magazine created by conscious people to celebrate a new golden age of fashion, beauty, art, and lifestyle. This online and print upscale publication defines the true meaning of new age glamour. We invite you to experience something different, something out-of-this-world. 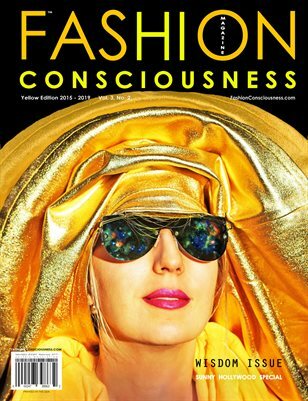 FASHION CONSCIOUSNESS Magazine - Yellow Edition/Wisdom Issue 2015-2019. 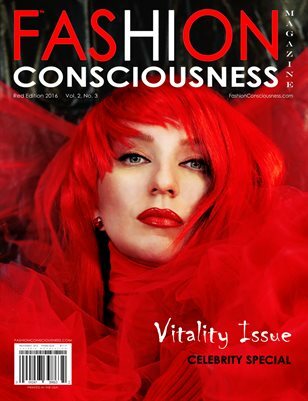 Our Red Edition/ Vitality Issue is all about vital lifestyle and charging visions! You don't want to miss this powerful, celebrity-special issue! Our White Edition is all about Authenticity. Learn something unique about white color and how it can effect your life. It is time for Pink Power! 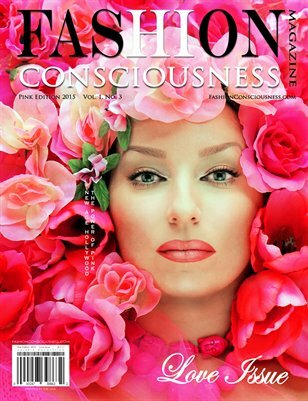 In this special Love Issue you will find plenty of pink tips on fashion, health, love and more! Welcome to our Golden Issue! In this edition, you will find all kinds of golden ideas that can trigger your "inner golden sun" to come out and play.